Hotels are fun, but what could be more appealing than staying on the beach in a cool container home? 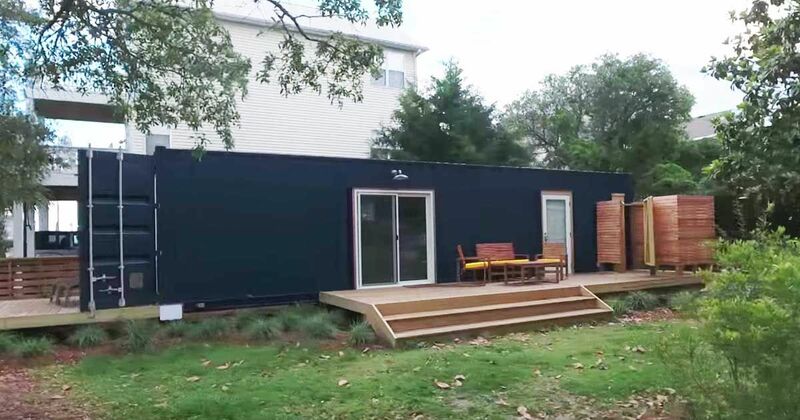 Made from a converted shipping container, Shelly's cute beach home is listed on Airbnb as a beach getaway in North Carolina. 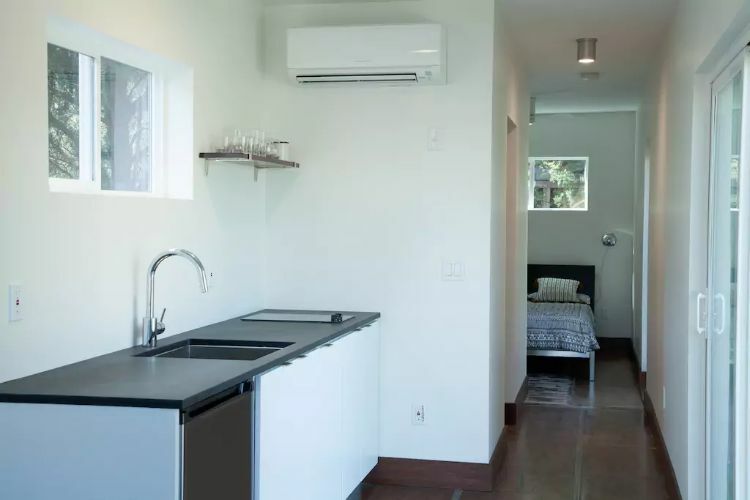 If you decide to get away to this gorgeous little home, you'll enjoy the roomy one-bedroom, one-bathroom home packed with all the amenities you need for a beach vacation. Contemporary in design, the home is one of two shipping container homes that are adjacent to each other, called the Conch homes, making them a perfect rental for a family or larger group. Measuring in at 320 square feet (29.7 square meters), the home features a kitchen, bathroom and outside and indoor showers. The living room is flanked by a sliding glass door that leads directly outside to the deck. The contemporary design is simple and stylish, and the mahogany floors really stand out against the white interior, providing a delightful contrast. The kitchen includes everything necessary for a comfortable stay, including sleek Paperstone countertops. 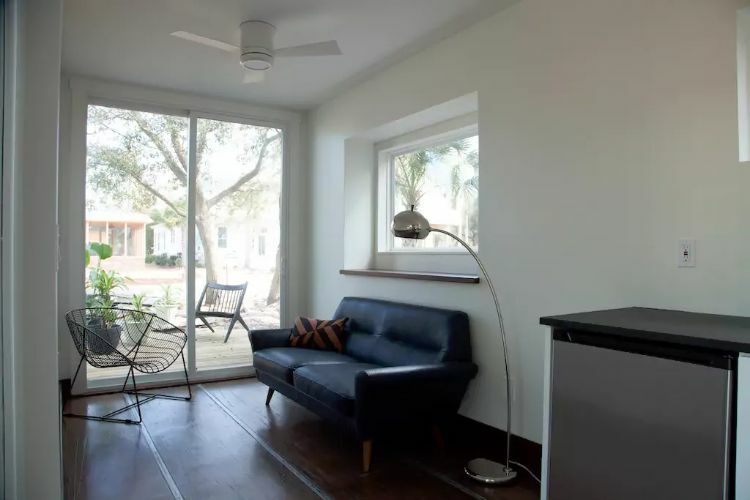 You'll enjoy access to a refrigerator, coffeemaker and sink in this sunlit space. 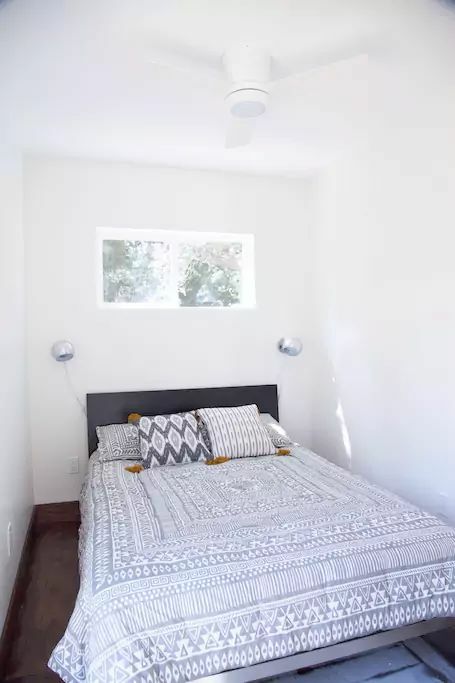 The back of the home boasts a beautiful and chic bedroom, including a double bed outfitted with a cozy Casper mattress and soft organic linens. 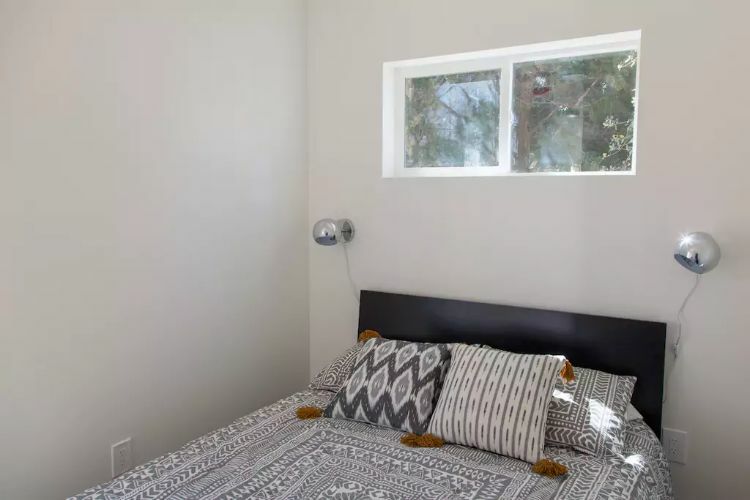 The room includes plenty of power outlets and bedside lighting, though it doesn't get much better than the sun shining in through the window in the morning. 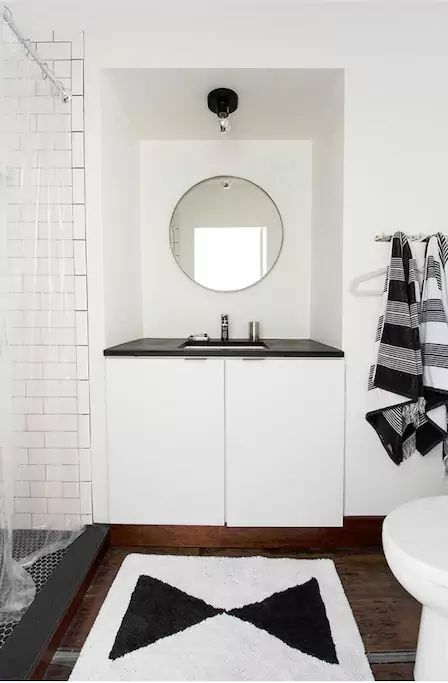 The contemporary black-and-white bathroom offers cool contrast as well as a stand-up shower, sink/vanity area and cute bow-tie rug that really "ties" the room together. 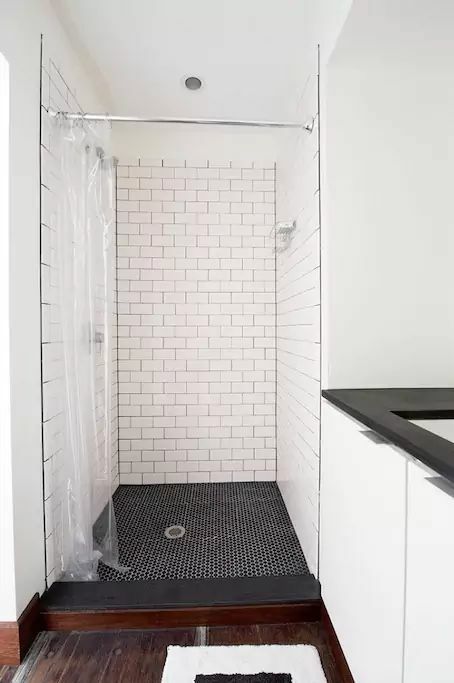 The tiled shower is oversized and spacious. If you're coming in from the ocean and feeling kind of sandy, step into the outside shower to wash off the water before you enter the house. 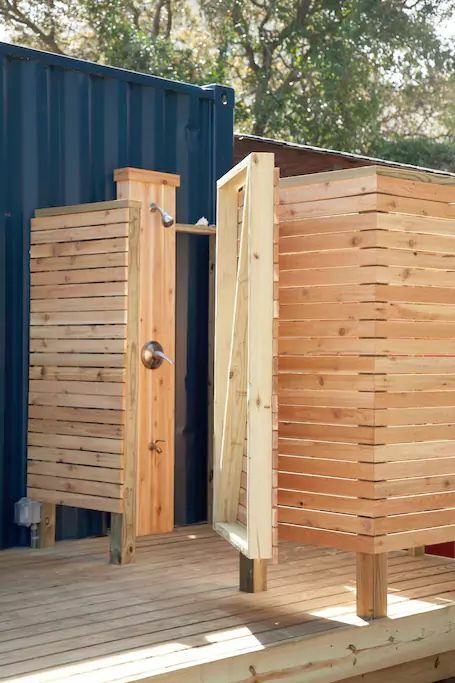 There's also plenty of storage for your surfboard and other water toys and vehicles. Imagine seeing this view every night before bed! Staying in a private home near the ocean will make your vacation dreams come true! Take a virtual tour of the Conch house and see what you're missing! 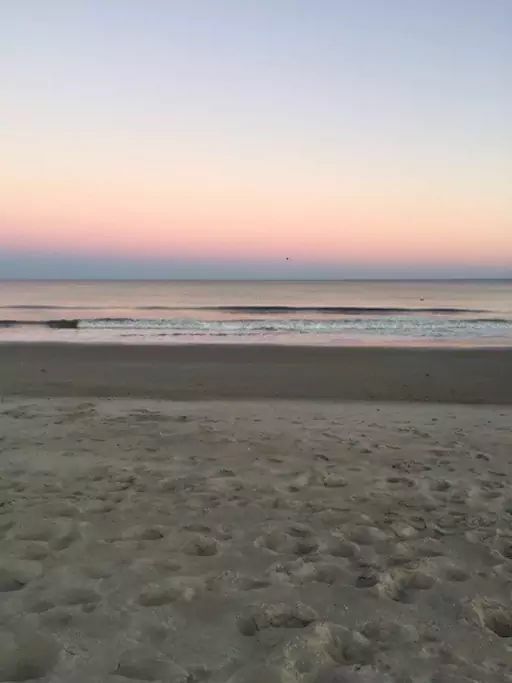 You'll be booking your trip to North Carolina in no time.